Maria Taniguchi is best known for her ongoing series of large 'brick' paintings in which she arranges a consistent grid pattern into different surface configurations. Taniguchi emphasises the performative nature of these paintings, the way in which she first draws out a grid on the canvas and then paints in one brick at a time. 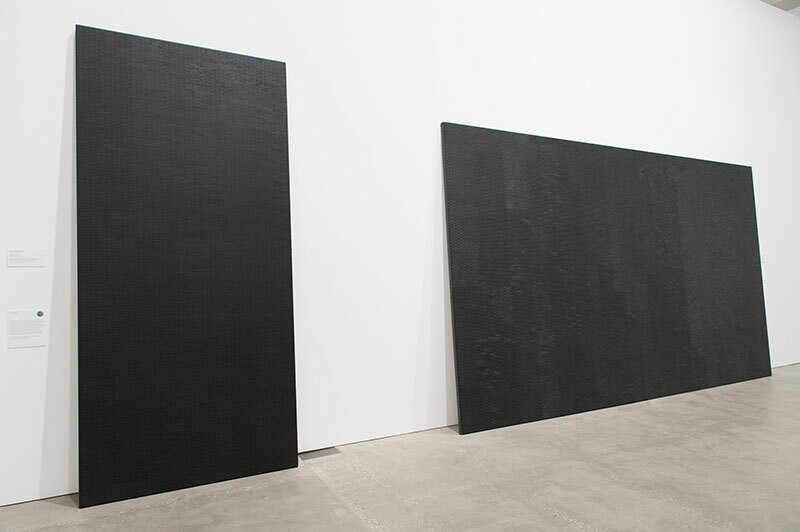 Despite their predetermined composition, the surfaces of these paintings are not uniform or static. In works such as Untitled 2014 and Untitled 2015 gradations of shade are achieved by varying the amount of water and acrylic and become discernible as the viewer moves in front of the painting. The repetitive process of Taniguchi's paintings can be viewed as a form of organising structure in the context of the densely populated urban environment of Manila. The paintings are exhibited leaning on the ground, affording them a sculptural quality and reinforcing their relationship to minimal art. Maria Taniguchi's work installed in APT8. 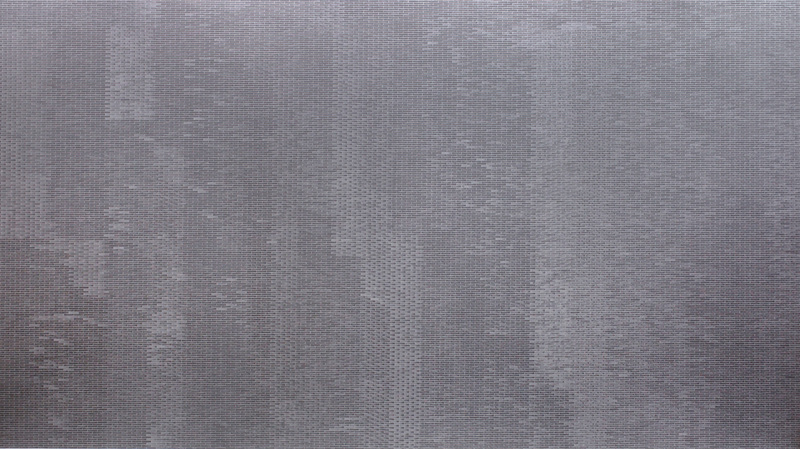 Maria Taniguchi, The Philippines b.1981 / Untitled 2015 / Synthetic polymer paint on canvas / The Kenneth and Yasuko Myer Collection of Contemporary Asian Art. Purchased 2015 with funds from Michael Sidney Myer through the Queensland Art Gallery | Gallery of Modern Art Foundation / Collection: Queensland Art Gallery / © The artist.